Whether they’re targeted ads or just pure coincidence, one thing’s for sure, The National Tourism Board of Serbia has been trying to get my attention. And I don’t mean literally because I am always one email away. 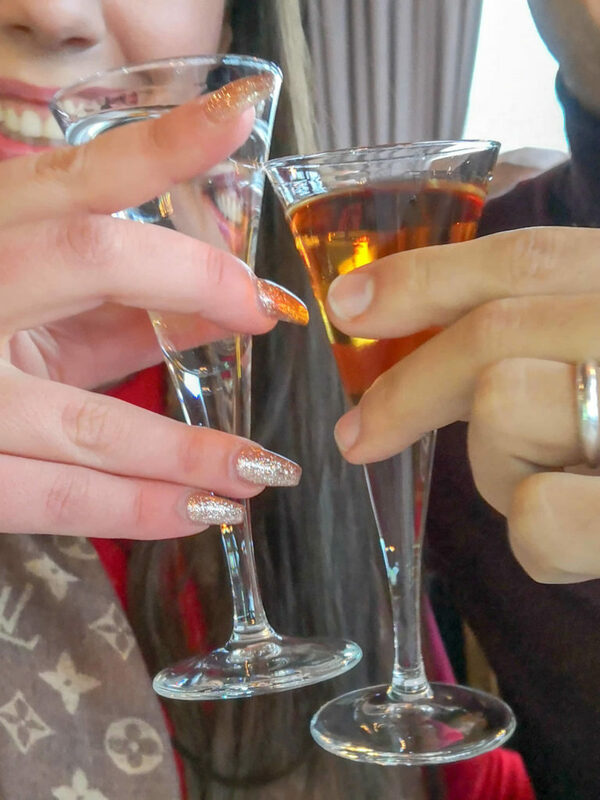 Over the last 12 months I have watched the National Tourism Board push campaigns on all social media to get more tourists to cross into their border, it was obvious and I became curious. 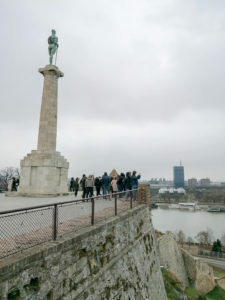 The problem is, I had no idea what to do to see in Belgrade, not a single idea. I’ve wanted to visit Serbia for years, in fact I probably should have visited Belgrade before I got sober because it’s known as the Capital for partying in the entire Balkan region. I would have had the time of my life and probably would have stalked Stoja and begged her to sing ‘Samo‘ for me on a stage. Well, times have changed and I am now a real tourist when I travel and not interested in the night life of a city. Belgrade has been on my radar for years. It’s less than an hour away from Zagreb by plane and the talk of Zagreb when you talk to people. 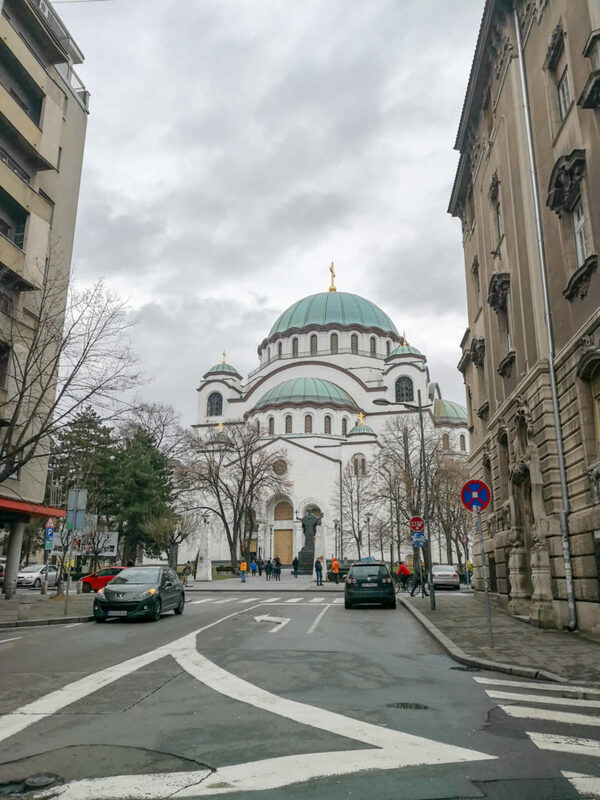 Everybody seems to love going to Belgrade and only had nice things to say about it. Finally, I had the opportunity to tick it off my bucket list. 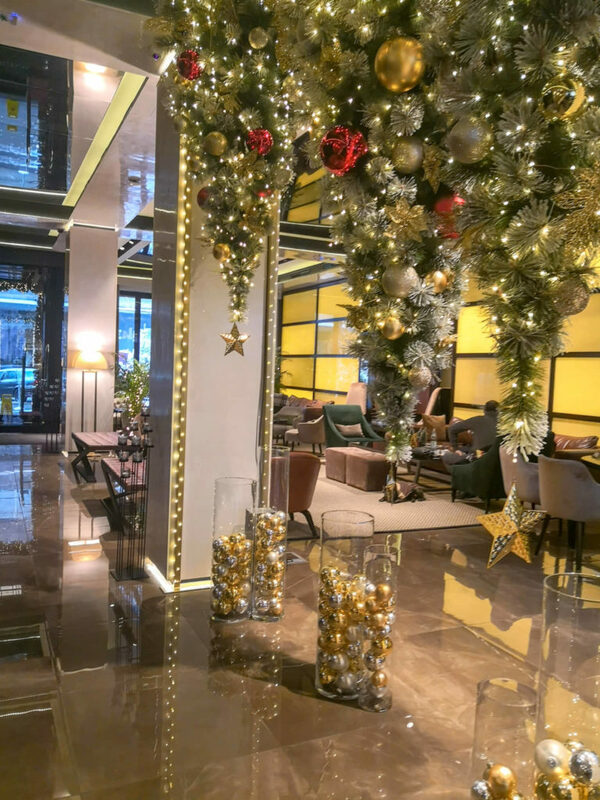 New Years at Saint Ten Hotel, Belgrade Serbia. Wearing Biljana Tiparsevic. 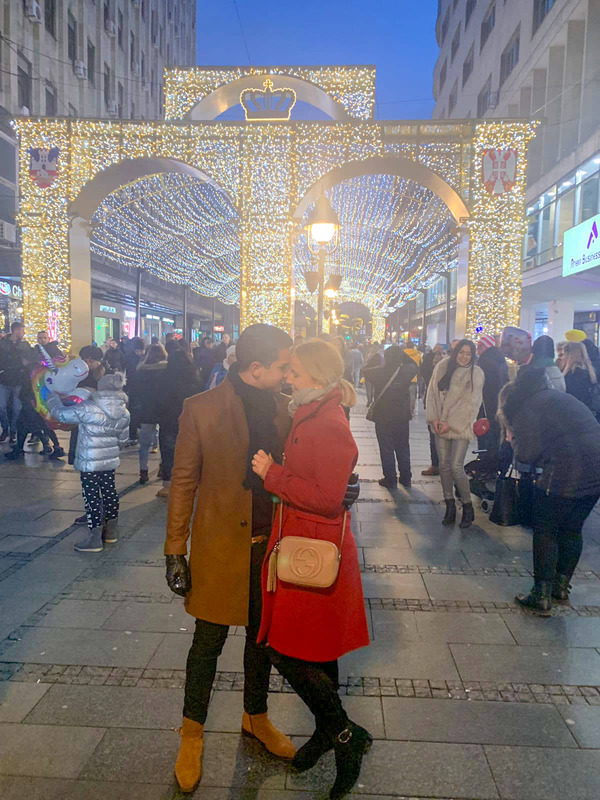 My husband and I decided to get out of Zagreb for New Years, despite being fully aware that New Years is the most overrated night of the year. Where else but Belgrade? 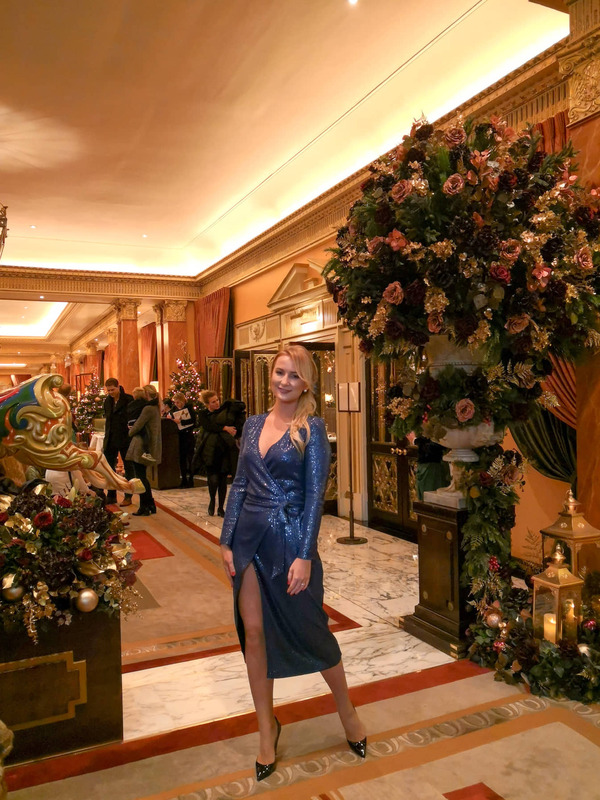 As a matter of fact and according to a random conversation in our hotel lobby, “half of Zagreb was in Belgrade for New Years…” It was apparently the place to be. I didn’t really care about New Years, I wanted to explore the city and get familiar with it’s history. 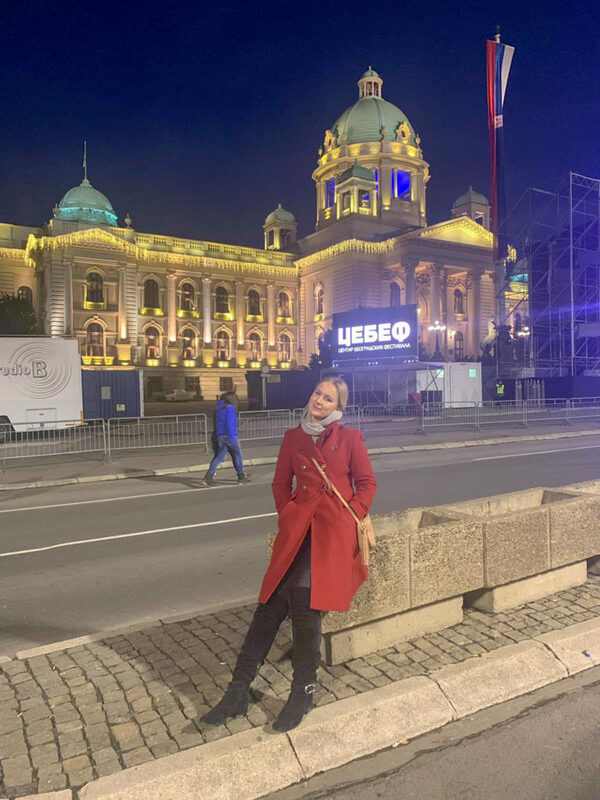 I didn’t really have any expectations, all I knew about Belgrade was that it was the capital of Yugoslavia, so it was once a little ahead of it’s time. Belgrade is not as aesthetically beautiful as Zagreb, the capital of Croatia, that’s one honest observation. But then again, I did visit during winter when the days are shorter and sky mostly grey. Everyone I know bangs on about Belgrade. My dear friend Yuya Masutospends a lot of the year in Serbia and he had only positive things to say about the country and it’s people. 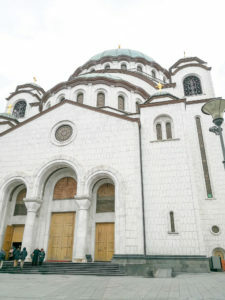 Is Belgrade worth the hype it wants? 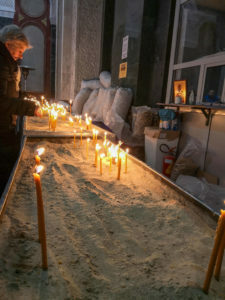 What exactly can you do and see in Belgrade? I was born in Yugoslavia (1987), my mum still has my passport tucked away somewhere in Sydney. It’s the passport that got me over to Australia when I was less than two years old. That’s all I ever knew about Yugoslavia. A few years ago on my Youtube channel an Australian born “Croatian” boy in Sydney who had only been to Croatia once in his life when he was 4 commented on one of my videos and called me a “Yugo” and I literally had no idea what that meant in this modern day. I do now and no, I’m not a “Yugo.” It actually makes me laugh now. Growing up, my parents didn’t go out of their ways to teach my sisters and I about Yugoslavia and what it meant to be Croatian, Serbian, from Bosnia etc. I suppose this holds more positives as I wasn’t told one side of the story from an early age and forced to believe it like a lot of people I grew up with. I was able to learn in my own time, at my own pace and courtesy of my own curiosity when I was at the right age. So over the last 5 years, since leaving Australia I have been learning about the whole region’s past. As we know, there is always another side to the story we are told. 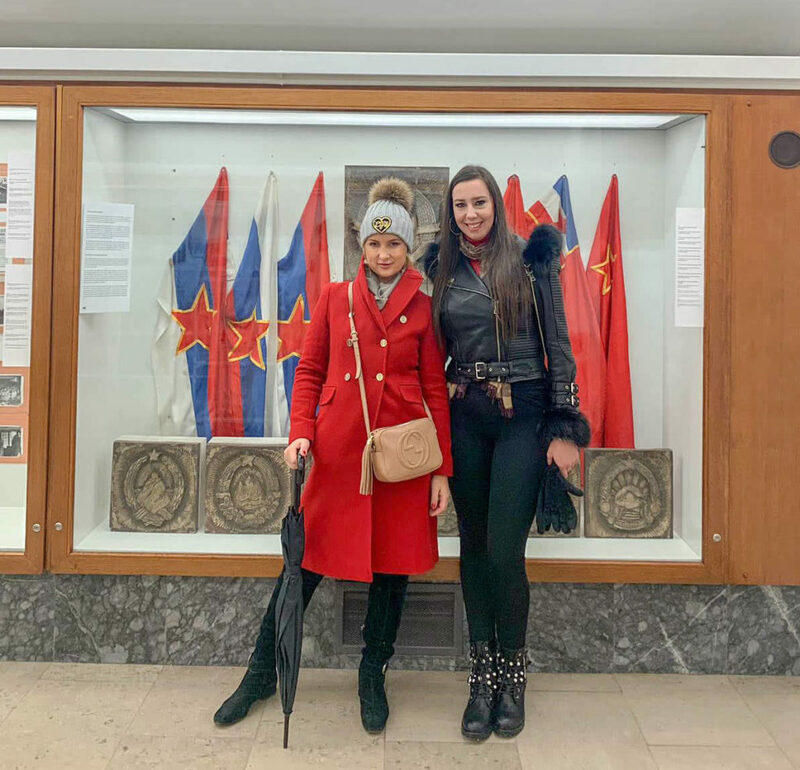 Probably one of the highlights of our trip to Belgrade was visiting the Museum of Yugoslavia. Yugoslavia is rarely every mentioned in Croatia these days, unless of course, there’s some media propaganda attached to it or you’re talking to someone very elderly like my grandfather who at 91 still declares ‘the time of Yugoslavia the greatest in history to live.‘ Eye roll, we are certainly paying for that ‘great time‘ now. The President of Yugoslavia was Josip Tito Broz and he was President from 1953 until his death in 1980 in Ljubljana. Yugoslavia was a thriving nation and a friend to all. 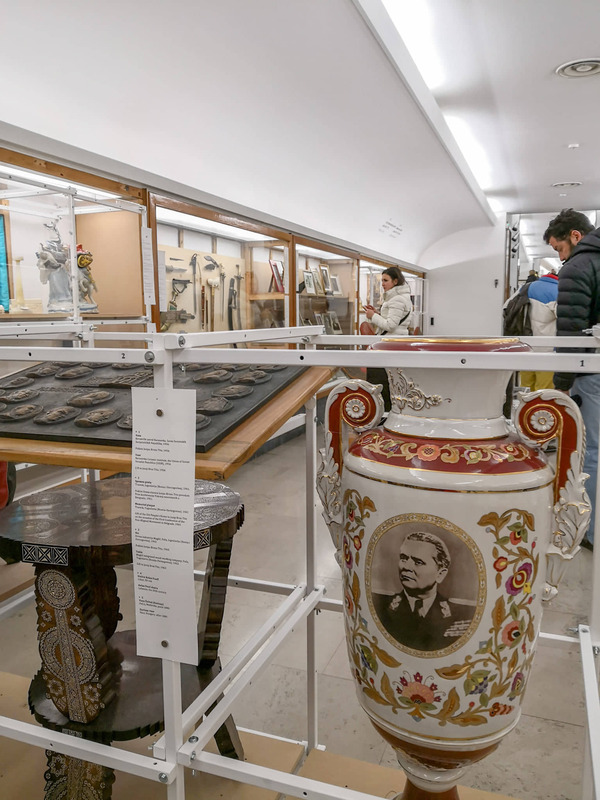 Tito gained a somewhat celebrity status and was very popular among the global elite, something that was very evident at the Museum of Yugoslavia, walls filled with gifts from all over the world pay homage to a Dictator. In Yugoslavia there was no religion and no nationality. You were simply Yugoslavian. People were also not allowed to talk against the Yugoslavian regime, if caught, they’d spend life in jail or be killed. 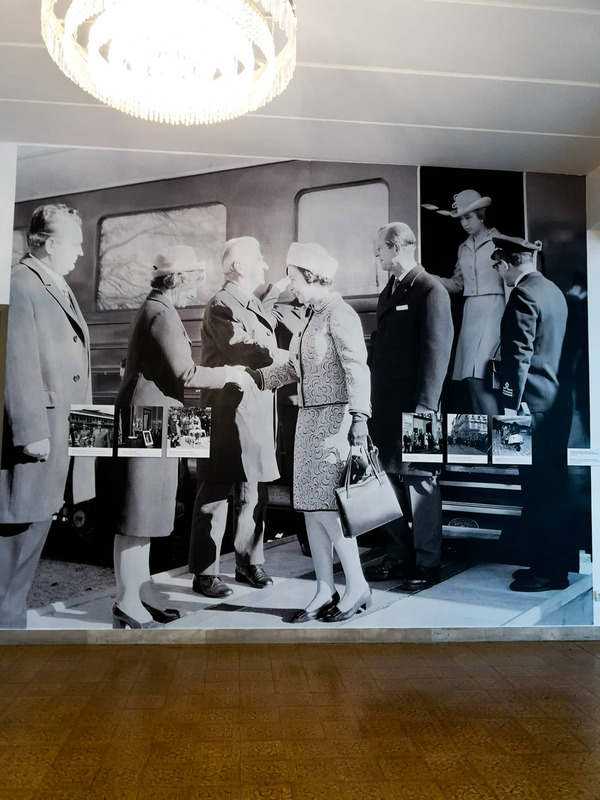 The deeper you go into the history of Yugoslavia, the more you notice that Tito literally had it all, he’d taken the best parts of all nations and turned it into one big playground for himself. His passing in 1980 was the beginning of of the end of Yugoslavia and as countries broke away from their Yugoslavian-unity, the rise of nationalism among the countries soared. This would eventually lead to Croatia’s War of Independence against the Serbs and war in Bosnia and Herzegovina. 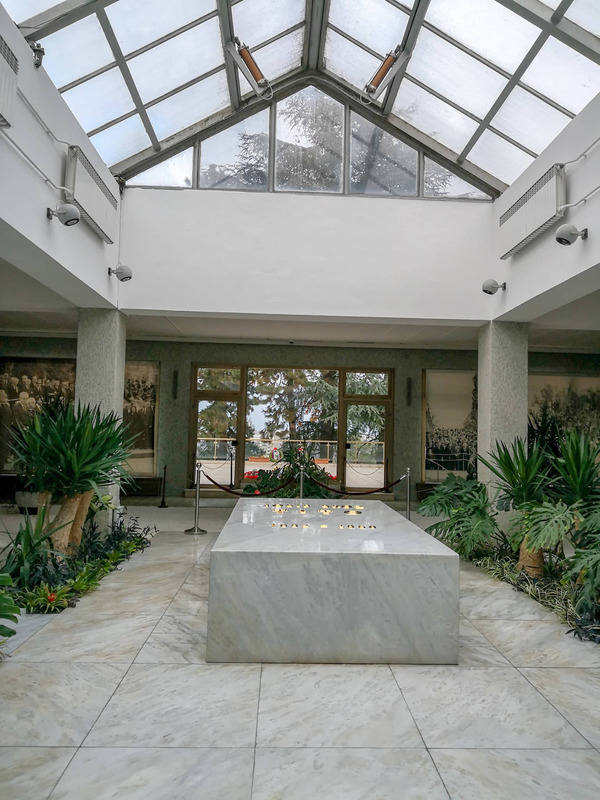 Tito is buried in what’s called the ‘House of Flowers‘. 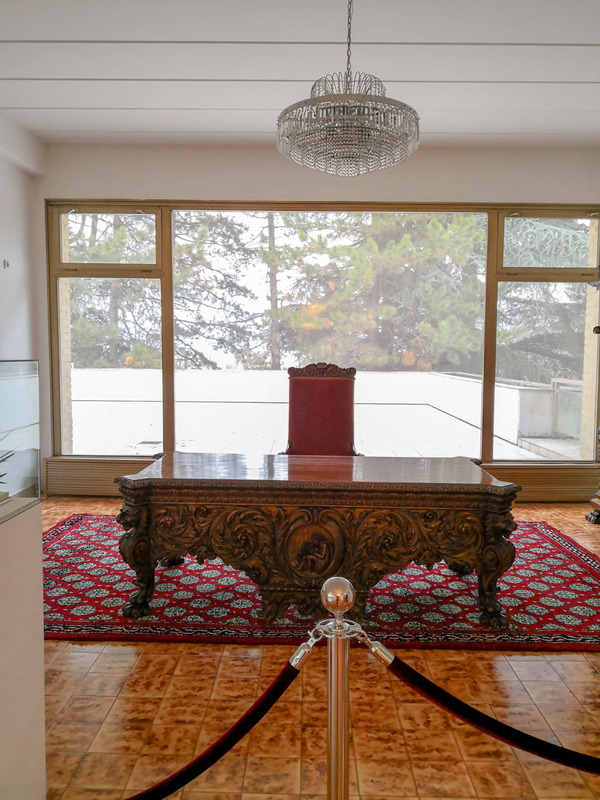 Surrounded by flowers, plenty of natural light and his wife by his side, The House of Flowers is also an extension of the Museum of Yugoslavia where you’ll also find his desk and model train of his personal train he used to travel around Yugoslavia in. 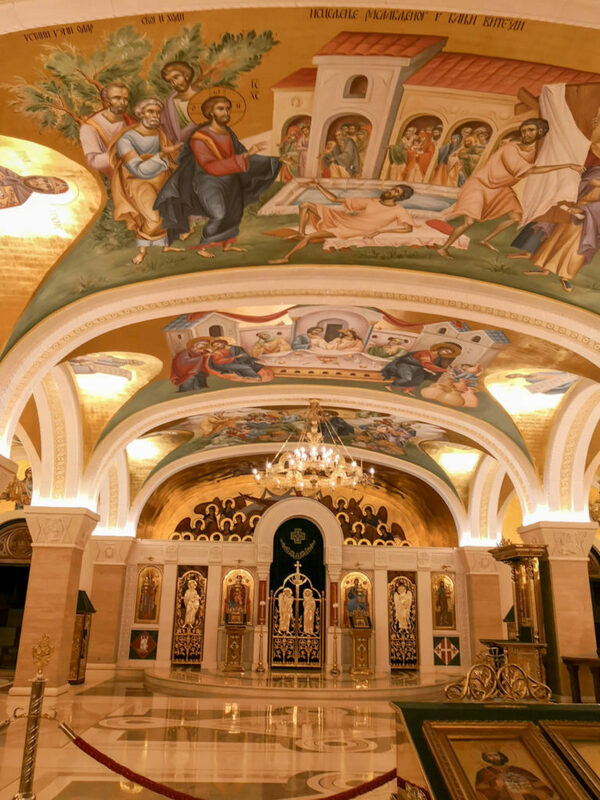 The Temple of Saint Sava, also known as Hram Svetog Save is the largest Serbian Orthodox Church and one of the largest Orthodox Churches in the world. 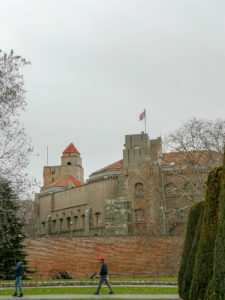 I’d say it’s one of the most monumental attractions in Belgrade and one of the most significant for the Serbian people. Located in the Vračar neighbourhood in Belgrade, you’ll be able to notice it from almost every angle in the city. 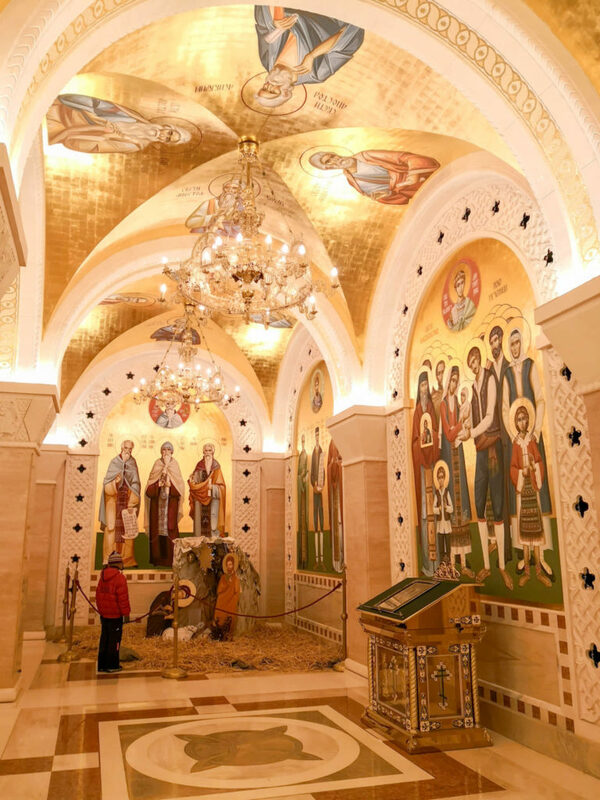 Locals say that the Church was built on the remains of Saint Sava, who was killed and buried on the plateau in 1595 by the Ottomans. 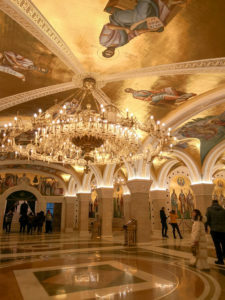 At the time I visited Hram Svetog Save, the ground floor part of the Temple was closed to the public due to renovations. The main Temple area can fit up to 10,000 people inside, so you can imagine how big it is in real life! 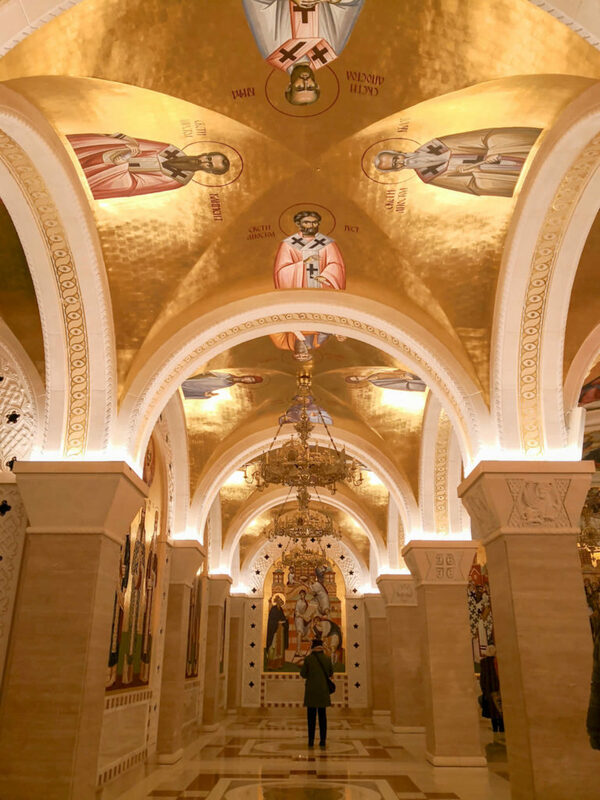 I was able to visit the underground part which is 7m below the Church called Church of Saint Lazar which was absolutely breathtaking, filled with frescos all over. 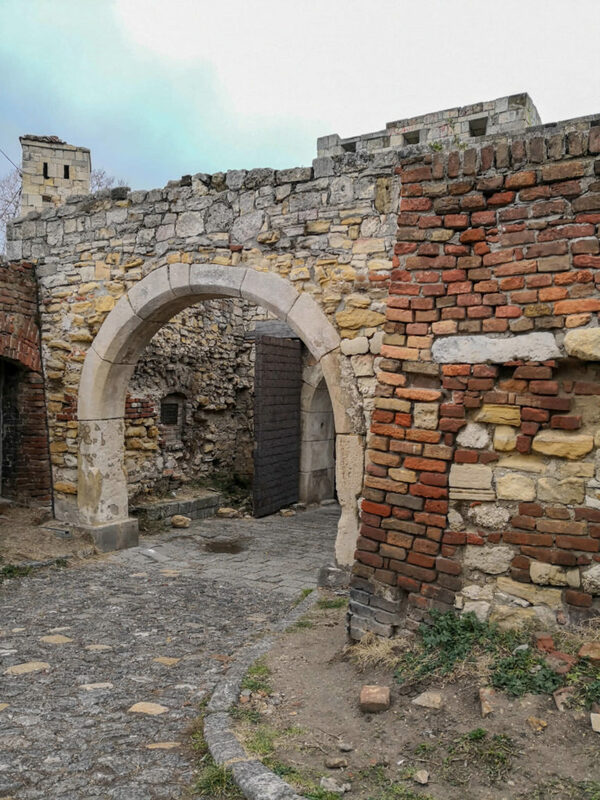 Just a few minutes away from the main part of Belgrade, Knez Mihailova Street, you’ll come across Kalemegdan Park also known as Belgrade’s Central Park. 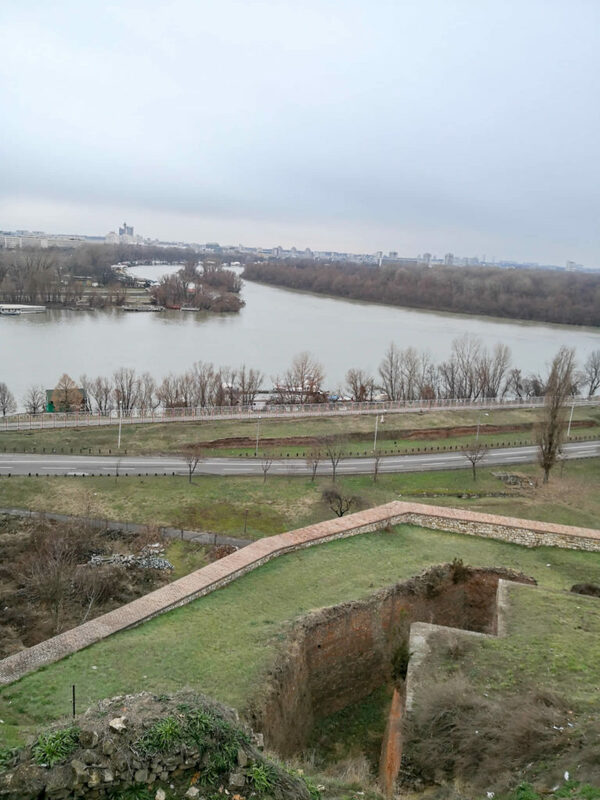 Kalemegdan Park overlooks the city where the Sava and Danube Rivers collide and also the beginning of Serbia’s Vojvodina Region. I didn’t get to spend too much time outside here as it became increasingly cold and windy as the minutes passed. 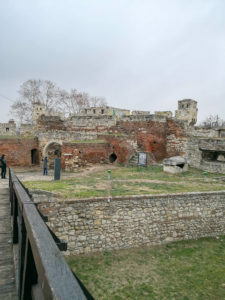 The Fort is known as the Symbol of Belgrade and has been built over and over again for 16 centuries. The Fort rises above the capital and was once used to protect the city from potential intruders. 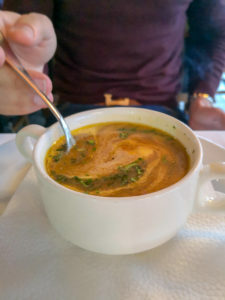 I often hear people say that the gastro scene is better in Belgrade than it is in Zagreb. From my own personal observations, there seemed to be more variety in Belgrade compared to Zagreb. And yes, dining out in Belgrade is a lot cheaper than in Zagreb. However, that depends on what type of restaurants you like to go to. 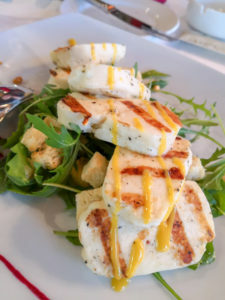 As most of you are well aware, my husband and I generally go to more higher end and reputable restaurants so in this case, the price point is usually the same. On the first night in Belgrade, we had dinner at Cafe Lavash which is located on Karađorđeva by the River alongside another 7 or so restaurants that eventually turn into clubs. 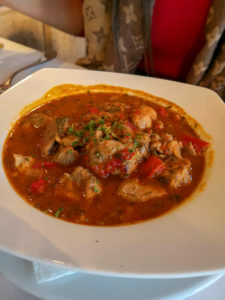 Cafe Lavash is an Arabic-Balkan fusion type restaurant. I can’t fault it. I liked it and the vibe was overall really cool. I found that in Belgrade people working in hospitality were a lot nicer than in Zagreb, most prevalent with the youth. People just seem happier to work and serve in Belgrade. The only downside to any of the restaurants in that whole district is getting a taxi back to your hotel. This is the type of location where you’re most likely going to get ripped off by a taxi driver. In Belgrade when looking for a taxi, if their number plate doesn’t have the letters “TX” at the end, they are not a real taxi. Don’t get in the car or you’ll end up paying a lot of money to get home. Don’t worry, this is common is the Balkans. I am not immune to a scam even in my home country, recently in Split I encountered a taxi driver who tried to rip us off. It happens, just beware. We also had dinner at Restoran Caruso, inarguably the best views of the whole city. My brother in law’s sister recommended we have dinner there after an afternoon of catching up, she had recently flown in from Sydney for Christmas. 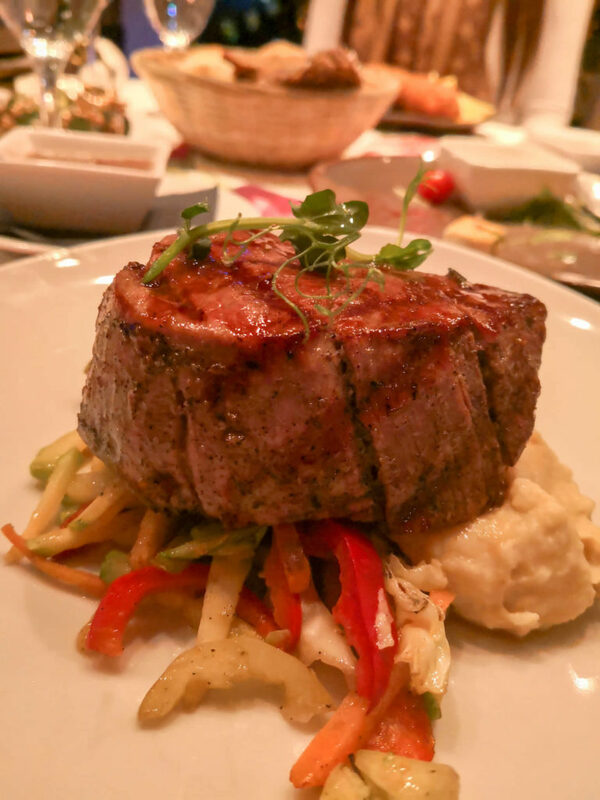 During the warmer months, Caruso is famous for it’s terrace bar but I need to give a special mention to the steak. 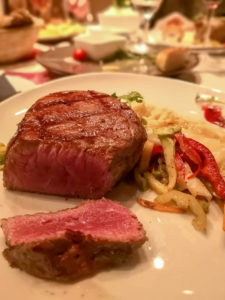 I had a fantastic steak at Caruso, cooked perfectly at medium. Staff are very warm and welcoming, happy to help with anything you need. Highly recommend. 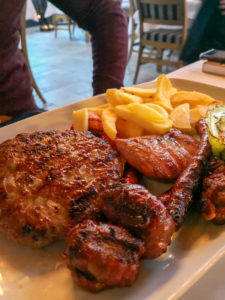 Another restaurant I must mention is Kalemegdanska Terasa, one of the better known and most famous restaurants frequented by the elite in Belgrade. We spent 7 hours here, literally lunch and dinner chatting away about everything one afternoon. 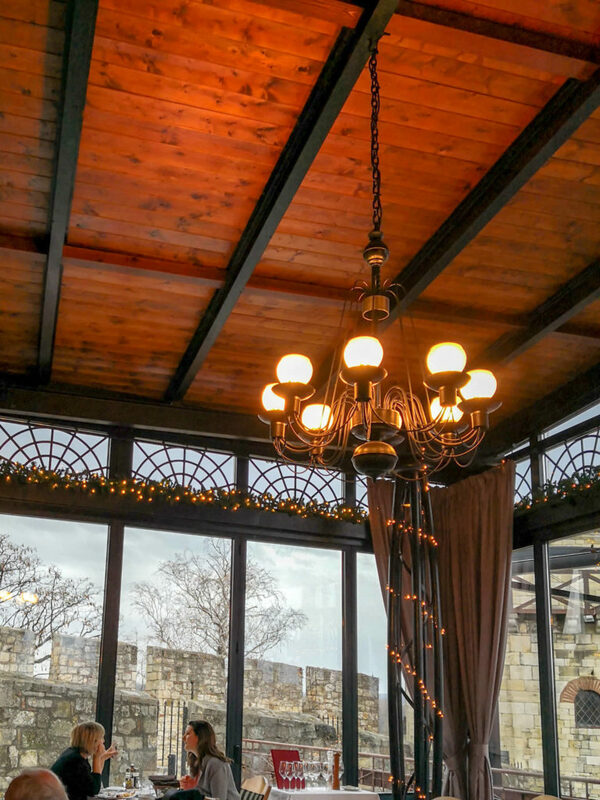 The interior is rustic chic with touches of modern and the restaurant is part of the Belgrade Fort. 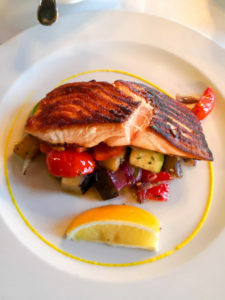 The food is top quality and reasonably priced. 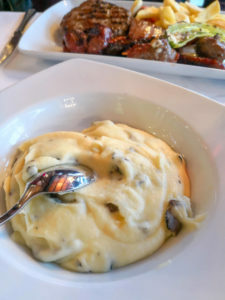 We fell in love with the truffle mash and haloumi cheese. We’re easy to please, even though we don’t look it! Belgrade seems to have more and better quality 5 star hotels compared to Zagreb. 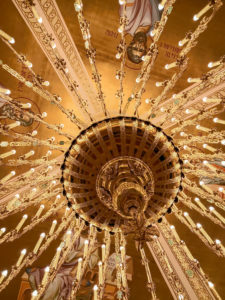 The only 5 star hotel I recommend in Zagreb is The Esplanade. Yes, I’ve stayed there and I am still a regular there. I love it. 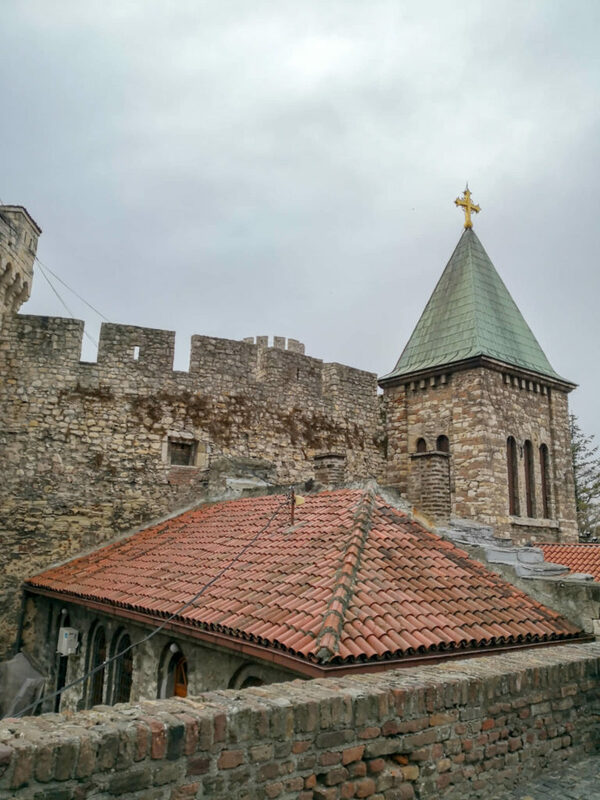 During our time in Belgrade we stayed at Saint Ten Hotel in the Vračar District of Belgrade, literally on the road that leads you to Hram Svetog Save. Saint Ten Hotel is part of the Small Luxury Hotels of the World Group so, I knew it had to be good, I just didn’t think it would be that good. If you’re looking for a hotel that’s located away from all the city noise in central Belgrade, Saint Ten is perfect. It’s only a 10-15 walk to Knez Mihailova Street and as mentioned before, Hram Svetog Save is literally a 2 minute walk from the premises. The staff are absolutely top class, nothing seems to difficult and everything is done seamlessly. 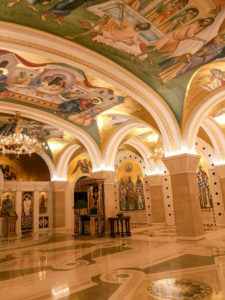 I honestly forgot I was in Balkan each time I stepped into that hotel. 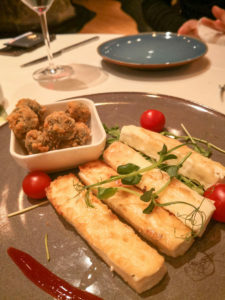 I’ve reviewed Saint Ten on Trip Advisor, check it out here.